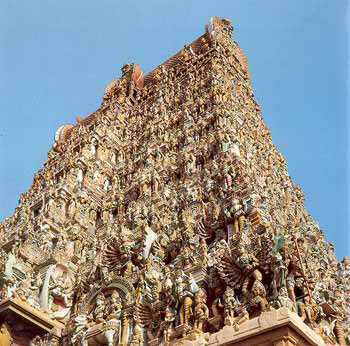 Arrive in Chennai, transfer to Mahabalipuram (55 kms / 1.5 hrs) the former capital of the Pallava Kings. Later this afternoon, visit the magnificent Shore temples of Mahabalipuram built in the seventh century. Stay overnight. This morning, visit Kanchipuram and the Kailshnatha Temple. The afternoon is at leisure to shop for the famous Kanchipuram silk sarees & fabrics. Stay overnight. Proceed to Pondicherry (134 kms / 3 hrs), the colonial capital of the French in India since the 17th century. Afternoon, visit the Aurobindo Ashram, also visit Auroville, the planned city of the new world. Stay overnight. Today, you will proceed to Trichy by road (203 kms / 4-5 hrs) enroute you will visit the Nataraj temple at Chidambaram dedicated to the dancing Lord Shiva, later you will stop at Tanjore to visit the famous Brihadeshwara temple. Stay overnight. This morning, you will visit the famous Rock Fort and the Srirangam Island, a living example of the ancient temple towns of the south. You will then proceed to Madurai (142 kms / 3 hrs). This evening take visit to the Meenakshi Temple for the Aarti ceremony. Stay overnight. This morning proceed on a full days excursion to Rameswaram. Stay overnight. Transfer to airport / railway station. Tour ends with sweet memories.